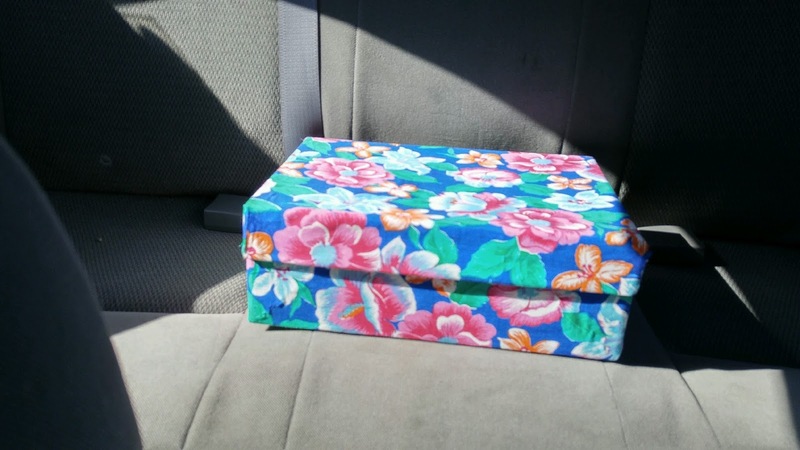 Got a wild hair that I wanted to cover a box in fabric using that mod podge stuff. Here's my first attempt. I don't think it turned out too bad! I made it using one of the fabrics that is the same as one of my pair of night pants. I think it would have been easier if I had a working hot glue gun. Going to Joann's, so I might just look for one there. It's the right size to keep my current crochet projects in.